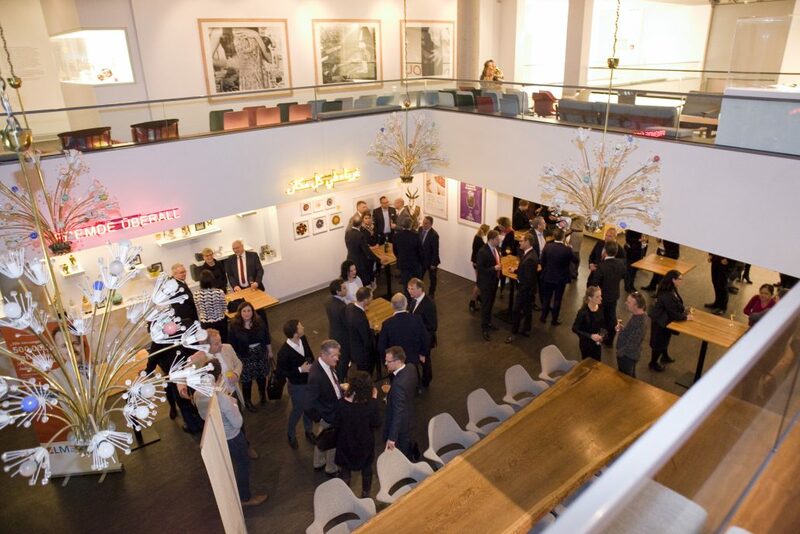 Members and friends of the German Australian Business Council attended a special arts event in Berlin-Mitte on the 15th of March, 2018 alongside guests from Berlin´s political, cultural and medical scene and supported by GABC corporate member Sonic Healthcare Germany. 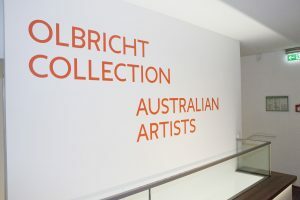 The Australian Indigenous Art exhibition was on loan from Canberra´s National Gallery of Australia and featured the largest collection of this kind which the NGA has ever sent outside of the country. It showed beautiful, traditional artworks from Aboriginal and Torres Strait Islander artists, right through to modern/contemporary installations, spanning the course of several centuries. 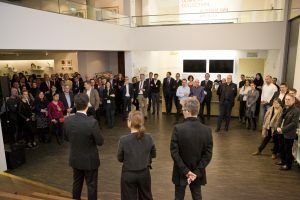 Shown in the Ollbricht Foundation´s impressive me Collector´s Room, the exhibition also marked the culmination and endpoint of the Australia Now cultural year which included dozens of highly acclaimed arts projects, exhibitions, concerts and installations around Germany.